In the end, Windows Phone is going out more with a whimper than a bang. Ever since Satya Nadella took over as CEO it has appeared to be the mad woman in Microsoft’s attic – cast aside, ignored as a source of embarrassment, regarded as a relic, or at best patronised with faint praise. And now it is being put out of its misery via the means technology companies employ as the equivalent of ‘ashes to ashes’ – promises to provide bug fixes and security patches. The fact that the news came via a series of tweets by the very executive Windows Phone has become most associated with, Joe Belfiore, rather than Microsoft’s usual regimented PR approach was odd, but it seemed to me to be a suitably ragged ending to what has been a stop-start, zig-zag franchise. There was always something wrong about the project. Microsoft owned the desktop and volume server and many expected smooth sailing to dominate the mobile waters when it launched in the mid-1990s. That never happened as breakthrough smartphone platforms such as BlackBerry and Symbian helped slow down its progress. In response, Microsoft tried characteristic ploys: integrating Office applications, making nice with ISVs, luring hardware makers and throwing money at bombastic marketing and advertising. Fed up with failure, Steve Ballmer launched a final assault in 2011 but the relationship with Nokia was a disaster in almost daily instalments. Microsoft intended the alliance to provide a high level of integration between hardware and software and invested heavily in the relationship with the Finnish company led by former Microsoft executive Stephen Elop. But it also felt the need to move very fast as Apple and Android sped off with lumps of market share. Elop’s “burning platform” memo about Symbian became a wet blanket on sales of Nokia devices. 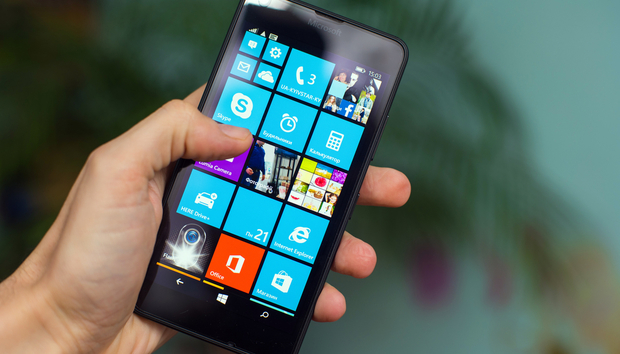 It launched its Lumia Windows Phone products impressively quickly, but perhaps too quickly. The devices were elegant and the Metro tiled user interface was a welcome break from lookalike front-ends with geometric grids of icons. But, if the bugs were bad enough, then the lack of robust applications was worse – much worse. The premise of the Ballmer/Elop enterprise was that the world (read retailers, ISVs and mobile telcos) needed a “third ecosystem” to break up the duopoly of Apple/Android. That premise just might have been proven correct if they had managed to attract decent applications to the platform. As it was, ISVs turned in the occasional strong app, followed, often tardily, by half-hearted successors. Put simply, there weren’t enough apps and the ones that arrived were often late or outdated. Microsoft, as Belfiore noted in a plangent tweet, chucked everything it had at the platform but the days of bulldozing markets were over and in Apple, Google, Samsung and others, the competition was formidable and well drilled. Are UK IT contractors leaving the sinking Brexit ship?